Anyone who is a writing fanatic like me, or anyone who spends hours typing away at their computer will probably fall in love at first sight of this product. It's called the Qwerty Writer. 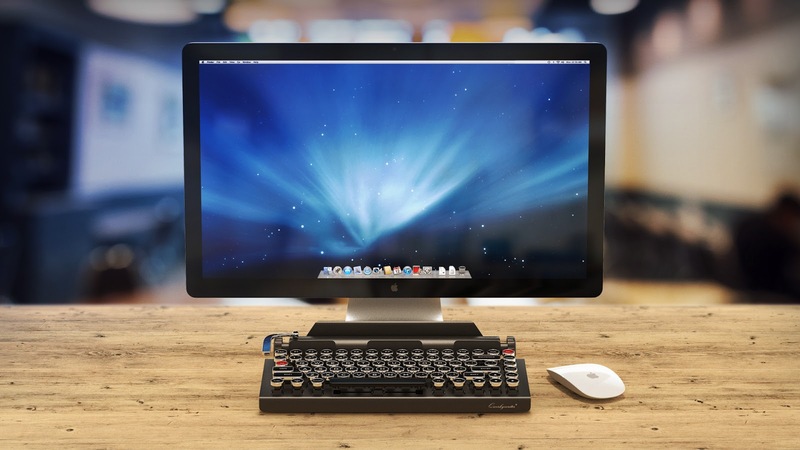 Basically it's a computer keyboard that resembles an old-school typewriter. 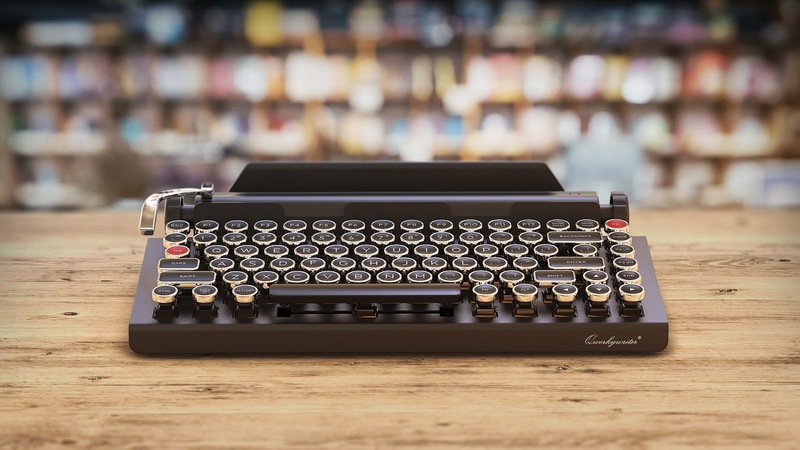 I have an obsession with typewriters so I fell in love with the look of this product the moment I saw it. There isn't much to say about it, it is just a keyboard after all, but it's a damn cool one. The downside is however, if you're like me and use to typing on a Mac, there isn't a version of the keyboard to suit that, only a Windows version. It will still work with Macs, you'll just have to get use to a different keyboard layout; fingers crossed they release a Mac version soon.